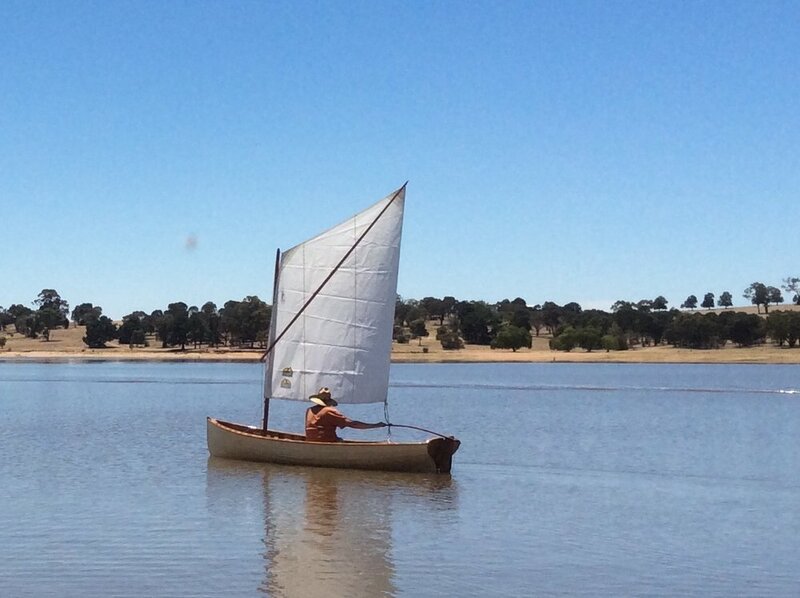 Here's a nice little Acorn skiff, it is not an Acorn 15 but an extended Acorn to 13 feet 1 inch. LOA 13 feet 1 inch, beam 47 inches, depth 17 inches, sail is 48 sq feet with a sprit rig. Construction was with 3/16 glued lap clinker plywood. All epoxy sealed and painted. Includes centre case, dagger centreboard, hinged rudder, mast sprit, oars and cast brass rowlocks. Fore and aft hatches for floatation. Three wheeled cradle is included but no trailer. Ready to row and sail. $5,000 neg.